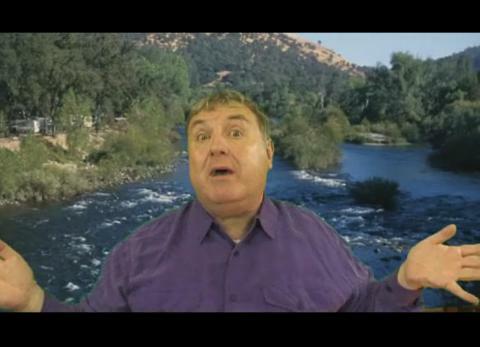 Russell Grant's Video Horoscopes exceed 2.5M views per month! During these uncertain times Horoscopes remain a key entertainment genre across print, online and mobile platforms. Whilst the majority of Daily Horoscopes are in a text/print format, Russell Grant Astrology (RGA) continue to innovate and lead the multimedia approach with Russell’s Daily Video Horoscopes. Russell’s Video Horoscopes are now watched by over 2.5M viewers every month across online and mobile platforms from across the Globe. Russell is currently busy with rehearsals and training for Strictly Come Dancing but due to the production planning, there is always 3-4 months of content produced to allow for new TV projects, sickness and holidays etc..
Kevin commented “The next steps for Video are very exciting in terms of further enhancements to mobile phones/smart phones and also the planned surge of Connected TV. We are already planning to upgrade our productions to High Definition to cope with Connected TV and Set Top Box opportunities. Perhaps one day you might even watch Russell’s Video Horoscopes in 3-D! o	RGA was established in 1983 due to Russell’s TV work on Breakfast Television. o	Russell remains the first astrologer in 300 years to present a member of the UK’s Royal Family with a Horoscope Forecast. o	In addition to http://www.russellgrant.com , RGA provide Astrology and Horoscope content to AOL, MSN, ITV, Yahoo, Orange and all UK mobile operators including MSN and Tesco Mobile. o	Revenue is derived from advertising “skins” around the Video player and/or pre-roll advertising too. This press release was distributed by ResponseSource Press Release Wire on behalf of Russell Grant Astrology in the following categories: Entertainment & Arts, Leisure & Hobbies, Women's Interest & Beauty, Media & Marketing, for more information visit https://pressreleasewire.responsesource.com/about. Psychic Readings and Astrology Predictions.